I had spent much of yesterday stuck in jury duty, so I apologize for the lack of posts. 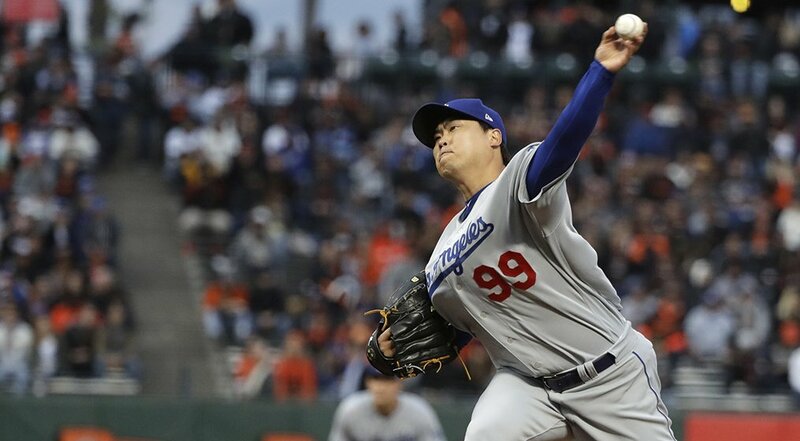 That said, I don't believe that the jury is out for the Dodgers or Hyun-Jin Ryu. We are still in the middle of discovery - to determine who these Dodgers and Ryu are this season. After all, we still have 142 games left this year and Ryu is just coming back from not pitching regularly the past two season. So, please stop with the griping and hand-wringing that I've been reading so much about. Instead, it is best to sit back and enjoy the ride. There is no reason to be worried. It is still too early to tell. And anyone who claims otherwise is a wise-cracker who is either bored or just writing click-bait. I suspect the later. 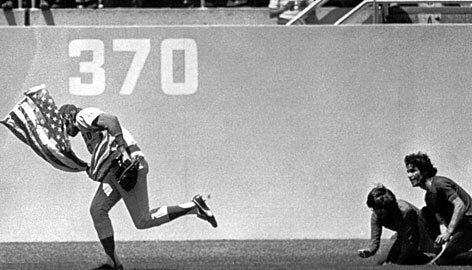 This Day in Dodgers History: In 1976 Cubs outfielder Rick Monday, in an act that will be remembered and celebrated throughout the country, snatched and rescued an American flag from two protesters who were in the midst of setting it on fire. ICYMI: Joc Pederson was placed on the 10-day DL with a right groin strain and outfielder Brett Eibner was recalled from OKC. Yasiel Puig is still fun. Per Andrew Mearns at Cut4; "It took three attempts, but Yasiel Puig made sure a young Dodgers fan got his souvenir." Via Jacob Unruh at NewsOK; "Dodgers: Justin Masterson working to make most of newest opportunity." The Dodgers drafted Kyle Funkhouser in 2015 and didn’t sign him, but then drafted Funkhouser’s college catcher in 2016. Los Angeles likes Smith’s athleticism so much they’ve tried him at other positions despite his catching prowess, and he’s played second base the past two games. On Sunday, he cracked two homers—his first multi-homer game as a pro—in Rancho’s win over Thaiss and Inland Empire. Smith isn’t known for his power, but does have enough power to his pull side to pop 8-12 a year. Per Steve Lopez at the LA Times; "Care to learn Spanish? Dodger broadcast legend Jaime Jarrin teaches almost nightly, and the course is free." “Lots of Anglos have told me over the years that they improved their Spanish through my broadcasts,” said Jarrin, who recalls a flurry of new fans when Dodger pitching phenom Fernando Valenzuela conquered L.A. in the 1980s. Dialects differ a bit when it comes to Spanish from Mexico, Central America, South America and elsewhere, so I asked Jarrin how he handles that. “What I do is use the proper language, the proper words,” he said. Via Doug Padilla at ESPN; "Sergio Romo's move to the 'dark side' solidified by ... an ice cream flavor?" Called "Sergio Romo's Mexican Chocolate," from the popular Petaluma, California, ice cream brand Three Twins, the packaging had a cartoon version of Romo blended into the company's regular logo. The tagline "It only tastes illegal" was a nod to the T-shirt Romo wore during the Giants' 2012 victory parade that read "I just look illegal." "They took my face off the logo," said the former San Francisco Giants pitcher. Source: Julio Urias starts for the Dodgers on Thursday.